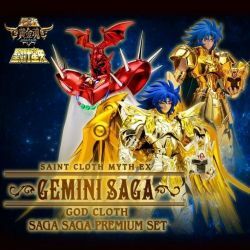 Gemini Saga Saint Cloth Myth EX action figures Saga Saga Premium Set : collectible action figures set inspired by the Saint Seiya's manga characters. Bandai official product. 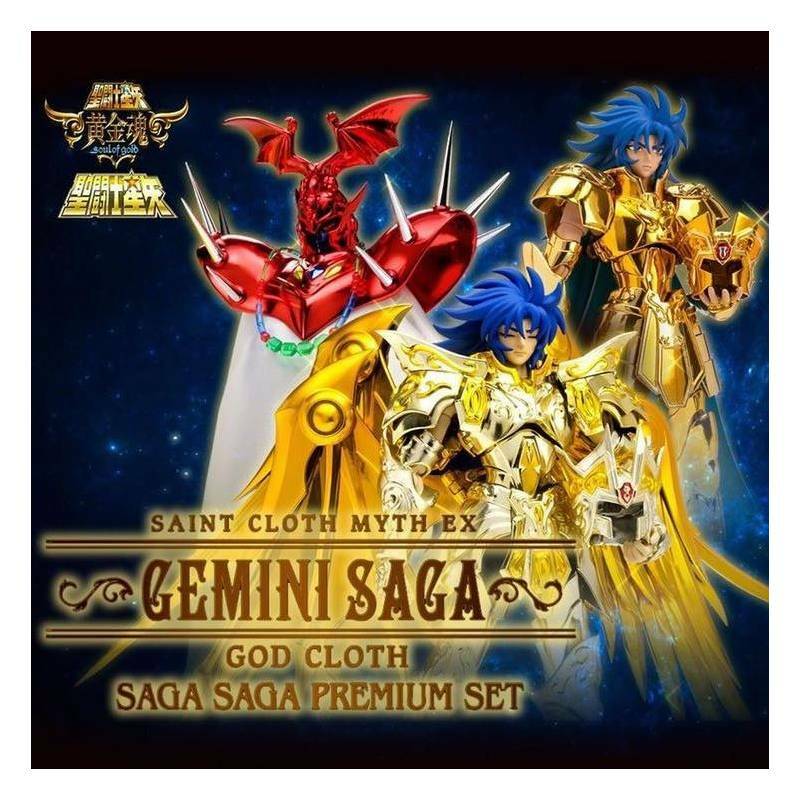 Pack includes 2 bodies and 3 clothes : a Gemini Cloth, a Gemini God Cloth and a Pope cloth.